Discussion in 'Shard News' started by Chris, Jul 16, 2012. The first step in this process was to review the function of the courtyard. 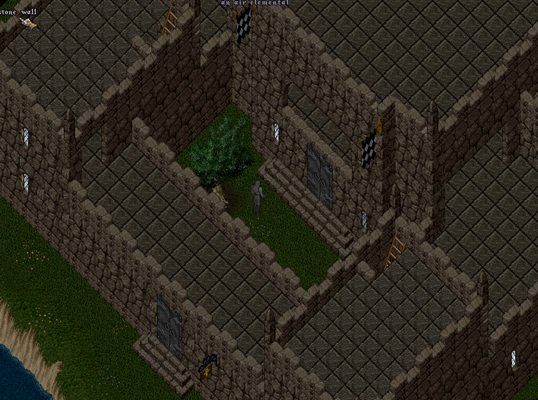 For our fortress design we decided on removing 75% of the courtyard. 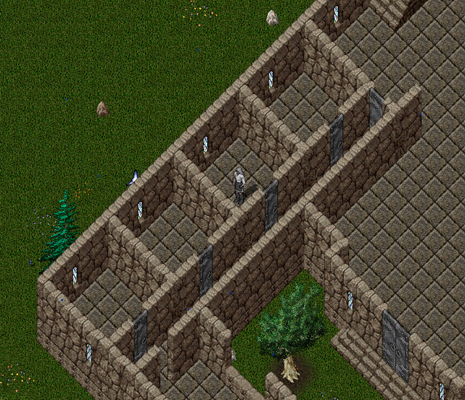 The entryway and courtyard were expanded slightly. 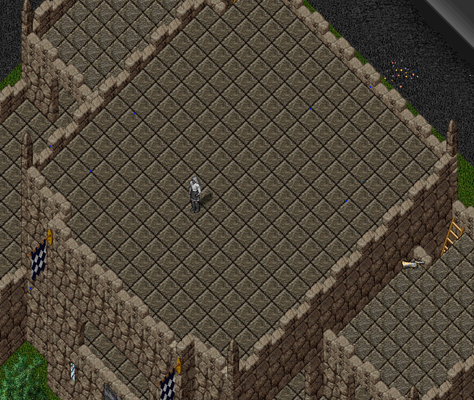 The next step was to redesign the first floor of the castle completely to improve it's functionality. 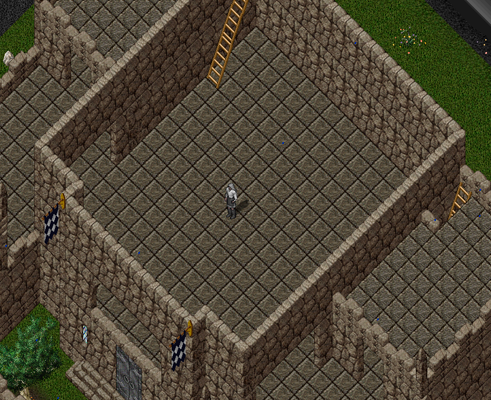 One of our goals was to allow guilds to house their members in a functional manner. With the removal of the courtyard enough room was available to create 8 individual rooms with their own door and key. The hallway leading to the room also has a door allowing for some level of security. This will allow guild members to actually live in the castle until they are ready to obtain their own house. To allow for an impressive great room the central stairs were moved to the north east corner. 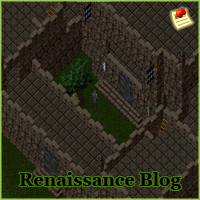 For the upper floors of the castle we created a 2 story great room, allowing players and guilds extensive creativity in their use and decorating. Ladders were added to the roof of each section. The flags attached to the central section of the courtyard will be able to be dyed the guilds colors. This house will be available from real estate broker as a "Large Fortress" and has the same footprint as the classic castle. To learn more about housing on Renaissance please check out our Housing Guide in the Renaissance Compendium. 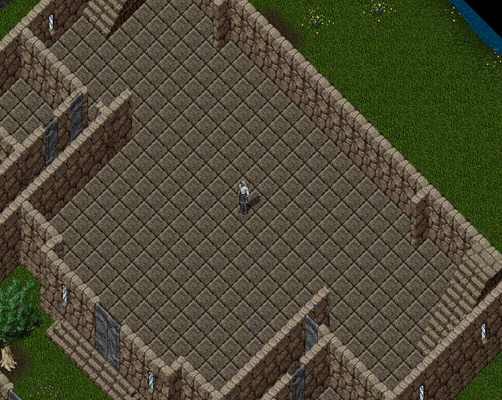 I like the 8 individual room concept and an actual courtyard. Bravo! This... is awesome, well done! Why not make the windows bigger? You could also put in a stained glass-window as well, that would certainly look the part. Also Its a shame you did away with the courtyard, personally I feel that a courtyard is an essential part of the castle, specially if you could place items in it, like training dummies and hex circles. Thirdly, could you add a mote? Oh and one more thing, why not add some stairs to the top story so that you can just run up there? There is a ladder to each of the roof sections. And there is still a courtyard, just a smaller version than a castle. For a small plat investment you may be able to get one of these suckers. I never used, and really still don't, use any other level than the main floor. The ladder opened up the roof for daily use. Jupiter and Dalavar like this. The courtyard lockdown is by far the most under-utilized platinum reward feature, in my opinion. Good to see a clever use of it. From what I've heard, moats are actually in-development. They will come in a few different flavors (lava, water, swamp), and would be platinum expansions.